One of the toughest parts about life is learning how to deal with stress that we face on a daily basis. Whether stress is a direct result of day-to-day issues or triggered by a major life event, some people bury their “sadness” deep inside of them instead of talking about their emotions. When emotions are bottled up and ignored, the risk of slipping into depression increases. Depression isn’t a one-size-fits-all illness. It can rear its ugly head in any number of ways and under a multitude of names. Symptoms of depression generally include everything from restlessness, losing interest in common day-to-day activities, and difficulty focusing, to feeling guilty, hopeless, and lonely. 1. Minor depression: This is typically characterized by a person experiencing some, but perhaps not all of the symptoms of depression for two weeks or more. For example, an individual may lose interest in day-to-day activities and have difficulty focusing on tasks, but they might not have feelings of hopelessness or loneliness. If minor depression stage is not tended to, the person is at a greater risk of developing major depression. 2. Dysthymia: This is a mild, long-term stage of depression. Symptoms may not be as strong as major depression, but dysthymia sufferers can experience ongoing depressive symptoms for two or more years. These individuals often tend to be overly critical and struggle to have fun. 3. Major depressive disorder: This is also known as clinical depression; this occurs when depression symptoms severely affect a person’s day-to-day life. Work, sleep, and productivity will be affected, which can lead to the person becoming anti-social. These symptoms can last for months at a time and are often accompanied by thoughts of death and suicide. 4. Bipolar depression: With this disorder, an individual will experience rapid (and sometimes simultaneous) mood changes. 5. Postnatal/ postpartum depression: This is characterized by a mixture of physical, emotional, and behavioral changes that occur after a woman gives birth. The depressive symptoms sometimes surface days before delivery and can last up to a year. 1. Exercise: Exercising releases endorphins in the body, which gives off a “happy” feeling. The best part about exercising is that you don’t need to extensively train; a simple 30-minute walk, or even an extracurricular physical activity, can help you reap the benefits. 2. Nutrition: Keep an eye on your diet. Eating balanced meals throughout the day can help boost your energy levels and keep mood swings at bay. 3. Sleep: The amount of sleep you get will determine how your mood will be the following morning. 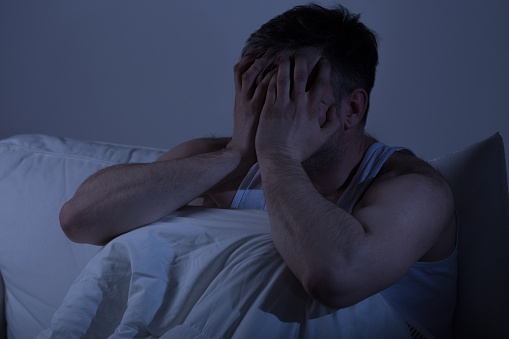 Those who suffer from depression will see their symptoms worsen if they do not get adequate sleep. 4. Social support: Keeping in touch with friends and family is essential. The more you isolate yourself from the world, the more you’re going to feel alone. It’s best to find a loved one or even a counsellor to open up to about your feelings. 5. Stress reduction: Eliminate or minimize the things that bring you stress on a daily basis. Whenever something (or someone) starts stressing you out, opt to take a “time out” and meditate; talk to a friend or a loved one about how you are feeling. Depression and mental health problems are considered silent, but deadly disorders. Many people who suffer from above stages of depression do not come forward, because they feel like “the outside world” won’t understand. If you or someone you know is suffering from depression, speak to a medical professional as soon as possible and begin your road to recovery. Remember, you are not alone. Rombough, J., “Stages of Depression,” Healthguru web site, March 25, 2013; http://mental.healthguru.com/article/stages-of-depression. “7 Stages of Depression: Are there really any stages to Depression?” Healthy-Holistic-Living.com; http://www.healthy-holistic-living.com/stages-of-depression.html, last accessed June 2, 2015. Saisan, J., et al., “Depression Treatment,” Helpguide.org, April 2015; http://www.helpguide.org/articles/depression/depression-treatment.htm.